This Irish salt and pepper shaker set features a colorful leprechaun along with his pot 'o gold at the end of the rainbow. 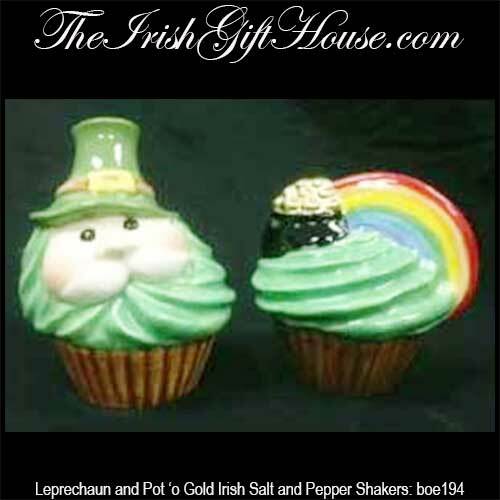 The cupcake shaped leprechaun salt and pepper are made of hand painted ceramic and stand 3" tall at the highest point. The Irish salt and pepper shakers are gift boxed, complements of The Irish Gift House.